Everything about Whittington Creek reflects quality and a commitment to excellence. The discerning home buyer can see our uncommon character in every detail. From the moment you enter our luxurious 300-acre community, you can imagine family life the way it should be. Welcome to Whittington Creek. 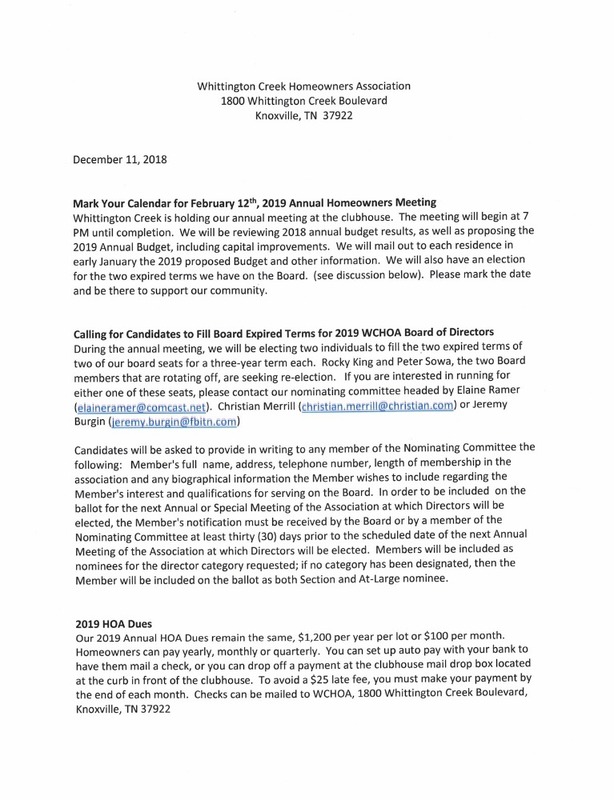 For general questions, please call the Whittington Creek Clubhouse at 865-691-8699. If you are a resident of Whittington Creek, please register (link in upper-right corner) and create an account to see information about events in our community, sign up to receive alerts, HOA forms, and more.